CHEVY CHASE, Md. 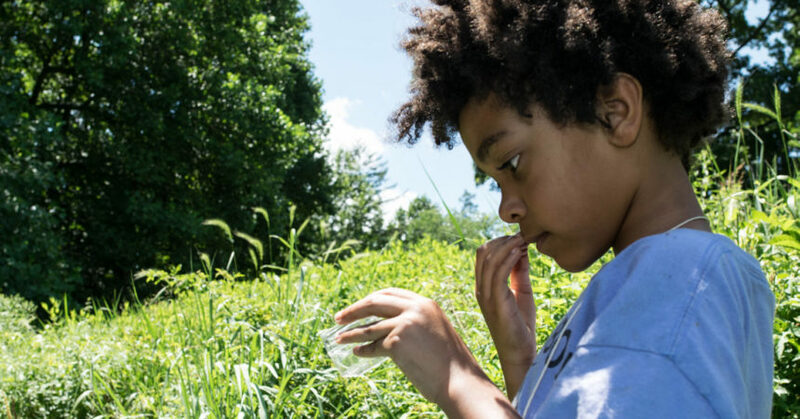 – Because Americans are spending an alarming amount of time in front of screens, the Audubon Naturalist Society offers families a little digital instruction book on how to help children get outdoors more often. Written by ANS naturalists and educators, the FREE ANS Parent Guide: How to Help Children Fall in Love with Nature (and Why), helps address the special concerns for children in urban settings. In a recent article on rethinkingschools.org, a Washington, DC teacher, whose students were legitimately afraid of being attacked in the woods, shared the joys (and her genius way) of getting them out of their comfort zone and into birds. Her class was able to identify their characteristics, natural histories, habitats, calls, and even analyze mortality rates because of city buildings. 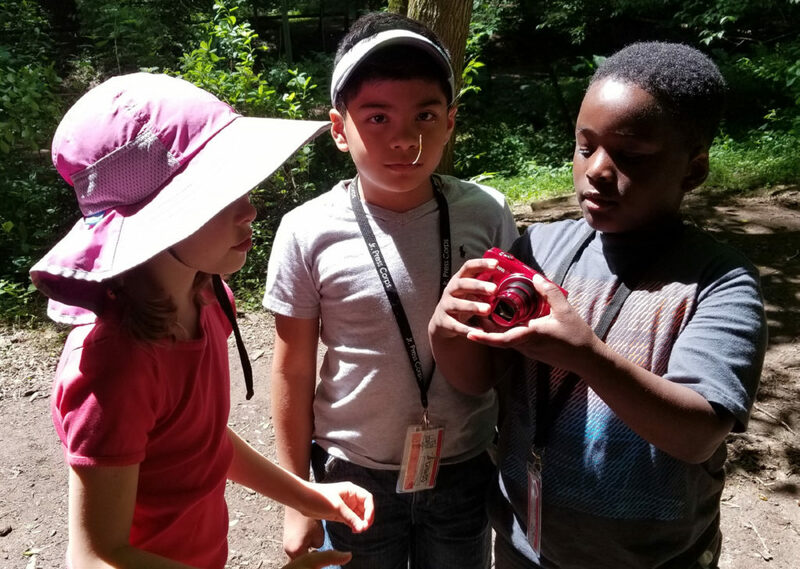 The Kojo Nnamdi Show, broadcasting out of the nation’s capital, touched on similar themes in a program about summer adventure options are available to city kids. One panelist said a student noted that her outdoor experience allowed her, for the first time, to see stars and identify a planet. Another panelist noted that many children were initially afraid of small, common creatures, such as crickets, because they’d spent so little time in the natural world. The remarkable teacher, and all of Kojo’s panelists, noted that more time in nature has a profound, almost magical, effect on children, and aids their development in ways that simply cannot happen indoors. 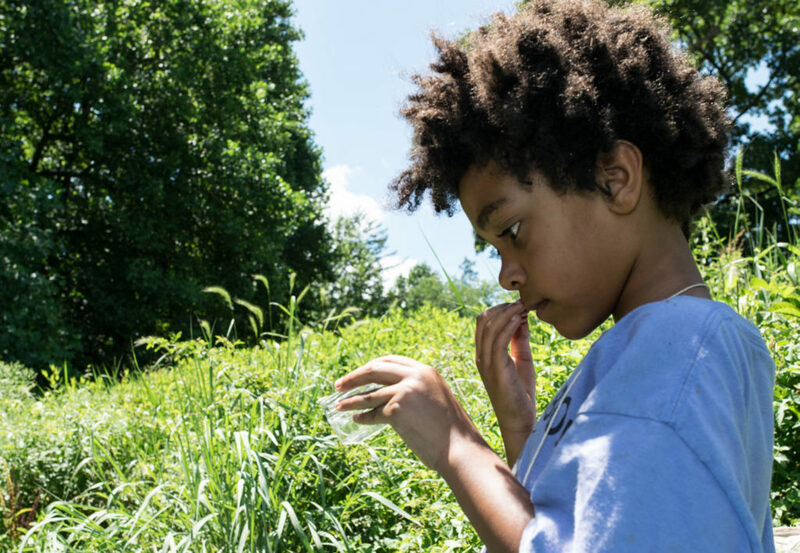 It’s for these reasons and more, ANS – the region’s ultimate nature education society- published its new ANS Parent Guide, which highlights dozens of the DC area’s most beautiful places to enjoy nature. It includes 11 fun, educational, and inspirational “recipes,” such as building forts and dams, tracking animals, dissecting flowers, growing herbs, taking color and shape hikes, and making music with trees. The “recipes” were designed with children 8 and younger in mind, but children-at-heart are invited to use it to explore as well. The FREE nature love guide also offers links and summaries to scientific research about the physical, mental, emotional and social benefits of children spending more time outdoors. www.Facebook.com/AudubonNaturalistSociety, www.Twitter.com/ANStweet and @ANSNature on Instagram. About ANS: Throughout its 121-year history, ANS has played a pivotal role in conserving our region’s iconic natural places from development including the C&O Canal, Dyke Marsh and, most recently, Ten Mile Creek. Past ANS member and board president, Rachel Carson, author of Silent Spring, is credited with launching the now global environmental movement. ANS’s nature experts provide hundreds of opportunities each year for children and adults to enjoy, learn about, and protect the environment.